For our December Day of Service, all four of our teams in Atlanta, Gainesville, Greenville, and Chattanooga served their communities by gathering food and gifts to donate to local organizations. 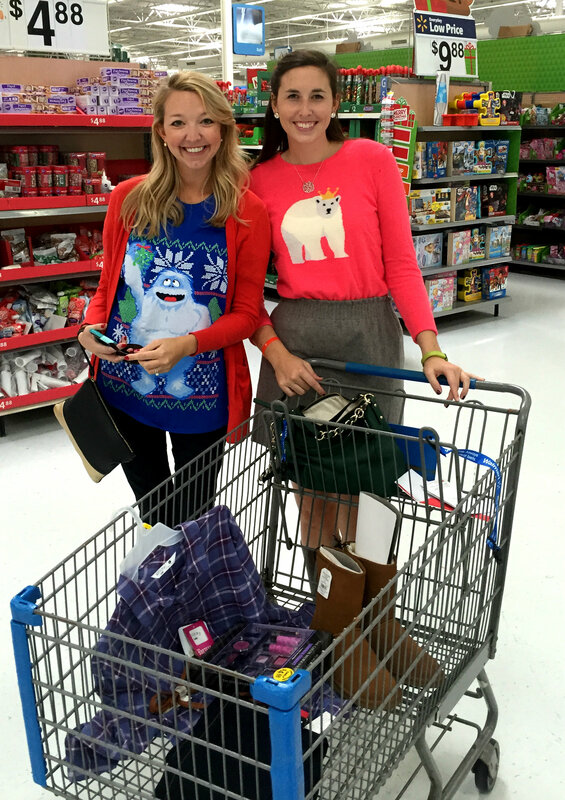 Almost all of our teams, including our Gainesville team (see below), went shopping at Walmart to gather their items. After splitting up into groups, our Gainesville team members divided and conquered. They ended up with seven shopping carts full of toys and Christmas gifts. These gifts were donated to the Adoptive and Foster Parents Association, as well as children the Gainesville team adopted from the Boys and Girls Club of Hall County. 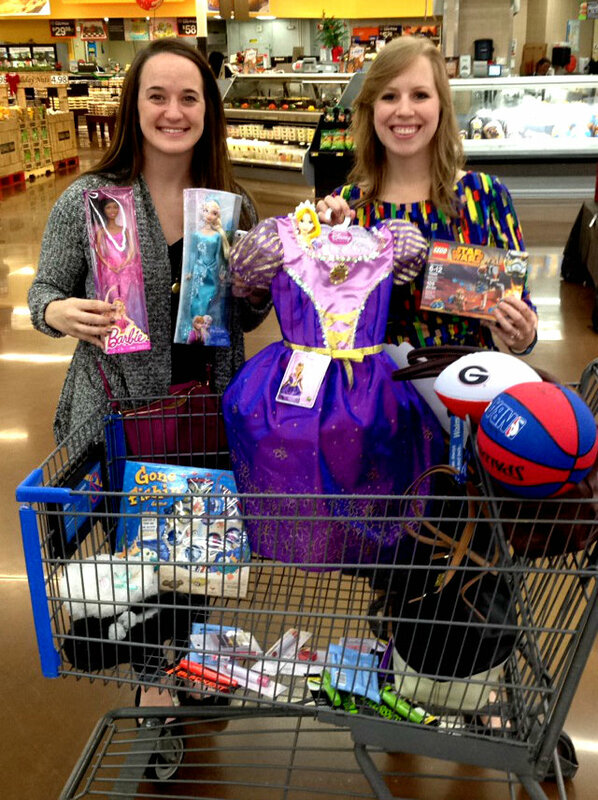 Our Atlanta team gathered gifts at Walmart for women and children. They donated these gifts to Partnership Against Domestic Violence (PADV). PADV is a non-profit organization headquartered in Atlanta that houses women and children who have been victims of domestic violence. The Chattanooga team gathered food. They donated their items to the Northside Neighborhood House. Their donations provided a week’s worth of food to a family as an extension of NNH’s Direct Assistance Program. Finally, our Greenville team gathered gifts as well. They adopted an Angel from the Salvation Army’s Angel Tree Program. 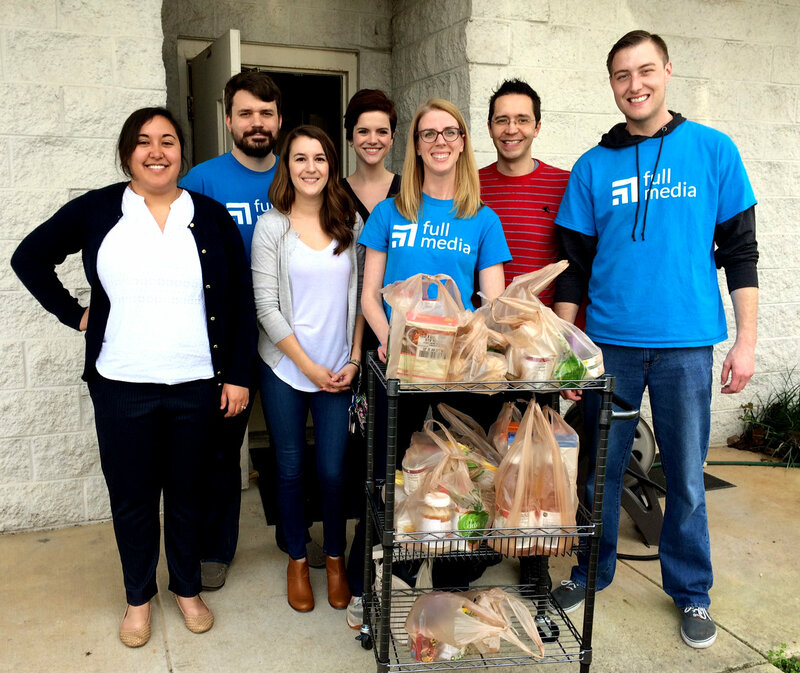 It’s safe to say that Full Media’s last Day of Service for 2015 was a success. We’re delighted to be able to continue our Quarterly Days of Service into 2016! From our family to yours, Happy Holidays & Merry Christmas!